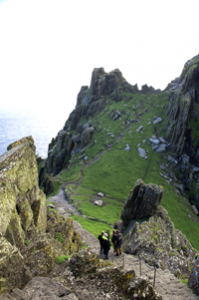 Skellig Michael is the larger of two stunning islands that can be found approximately 12 km west of the Iveragh Peninsula, County Kerry. The breath-taking island towers an impressive 218 metres above sea level and is made from 350 million year old Devonian sandstone. 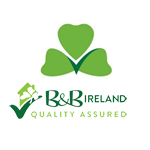 It is a place of historical, religious and natural significance and is a must-see on your trip to Ireland! Skellig Michael was declared a UNESCO World Heritage Site back in 1996, mainly due to the fascinating Early Christian monastery that can be found there. It is estimated that the monastery was built at some time between the 6th and 8th century and it truly is a sight to behold. It sits 618 steps high and is home to beehive cells, two oratories, stone crosses and a medieval church. It is accepted that this monastery is one of the most dramatic and beautiful examples of the extremes of Christian monasticism in the entire world. What’s more, Skellig Michael also boasts a unique landscape, showcasing Ireland’s natural beauty and is a designated nature reserve. It is one of Ireland’s most important sites for seabird breeding and is home to many rare flora and fauna. The island located on the Wild Atlantic Way, provides stunning views out across the Atlantic Ocean and has its own impressive lighthouse. There is something indescribable about standing on Skellig Michael and taking in your striking surroundings while the waves crash down below. Boat trips are available, weather permitting, from Portmagee in County Kerry and takes approximately 45 minutes. You are given time to explore the island at your own pace, and then the boat takes you back to the mainland. 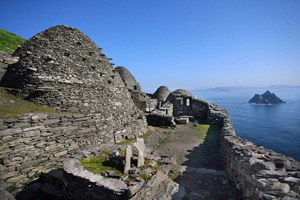 On your trip to the Emerald Isle, you cannot miss out on the chance to experience the quiet magic of Skellig Michael!